Fortunately, there are some things you can do in this situation to hopefully get your phone back. 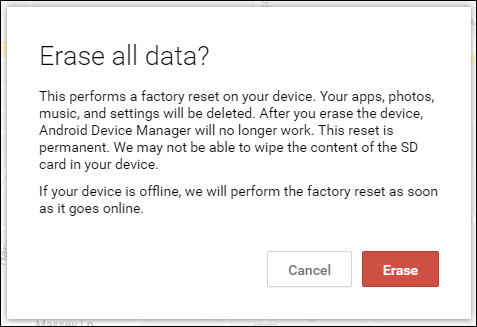 This will bring up the Device Manager site—you may or may not have to log into your Google account again here—and immediately start tracking your device. If you happen to have multiple phones and tablets, you can use the small drop down to find the one that’s missing. Once you’ve told the Device Manager to find your missing phone, it’ll start tracking and shouldfind it within a few seconds. It’ll provide the time it was located, the location, and the accuracy range. This will give you a damn good idea of where your phone is. 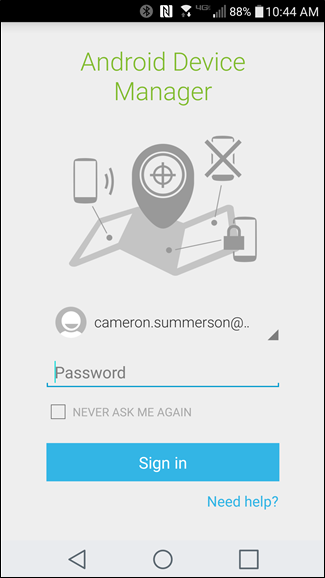 After locking the device, you can also send a command to ring it, which can help you pinpoint its exact location if you just left it somewhere. It doesn’t scream out—it just plays the set ringtone at full volume for five minutes. If you’re tracing back your steps to a location where you left it, you should probably wait until you’re close enough before executing this command. Lastly, if all hope is lost, you can completely wipe the device with the “erase” command. This will completely factory reset the device, wiping all of your personal data, pictures, music, and all other stored files. It will also try to wipe the SD card if your device has one, but there’s a possibility (depending on Android version and manufacturer) that it may not be able to, so keep that in mind. 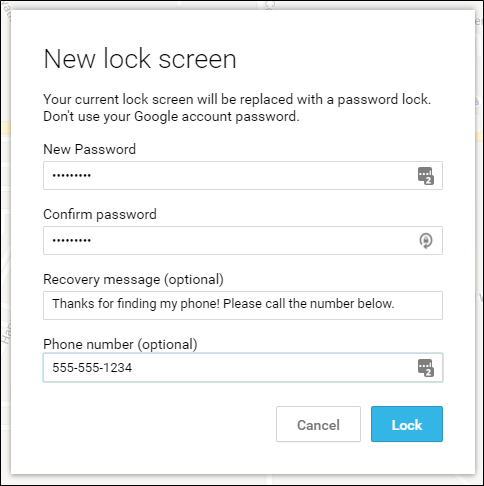 Once the phone has been wiped, Android Device Manager will no longer work, so this is basically you saying goodbye to your phone—this is the point of no return. So maybe you don’t have your computer handy, or you don’t want to go back home just to find your missing phone. 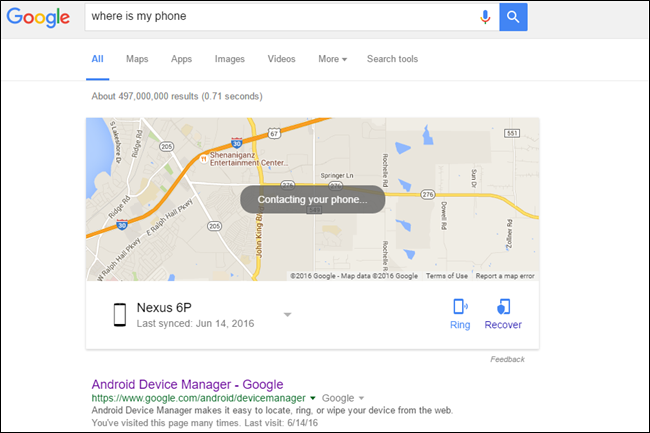 That’s understandable, and there’s another solution: the Android Device Manager app. If you have a second Android phone or tablet with you, grab that bad boy and give the app a quick install. Once you’ve got it loaded up, you’ll need to input your Google password to start location devices. The app works exactly like the website, so all of the instructions and details above are applicable here. You can ring, lock, and erase your device directly from the app with all the same options that the web offers. Boom. So what happens if you don’t have another Android device or your computer? That’s when it may seem like all hope is lost, but fret not, there’s still an option. Grab a friend’s phone or tablet—doesn’t matter if it’s Android, iOS, Windows Phone, or whatever else (just as long as it’s a smartphone). 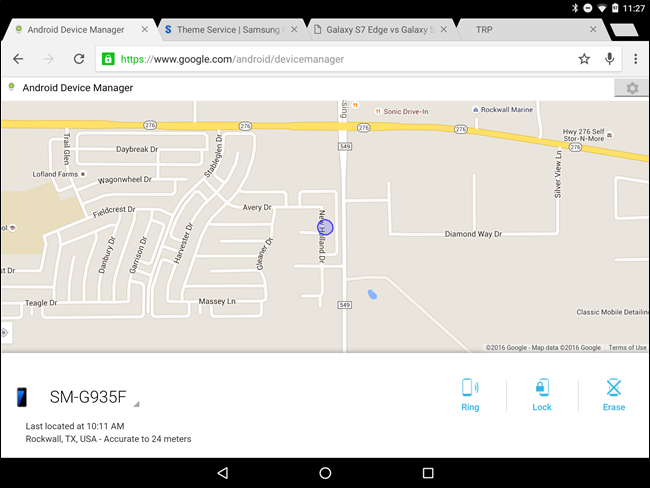 Open the web browser and do a search for Android Device Manager. Open the first link, and sign in. Boom, you’re in. The only snag you may run into is if you have Two-Factor Authentication enabled on your Google account, which will require you to input a six-digit code before getting access to your account. The problem is that this usually relies on either an app (like Google Authenticator) or a text message to get you this code, and if your phone is missing…well, you see where this is going. That’s why it’s always a good idea to keep some backup codes handy. Google provides these when you set up two-factor authentication in the first place, so print them out and keep them somewhere safe—don’t wait until it’s too late! These codes could mean the difference between getting your phone back (or at least keeping prying eyes away from your personal data) and never seeing it again. Once you’re logged in, the Device Manager will work the same way as discussed above. Do your thing. Good luck. 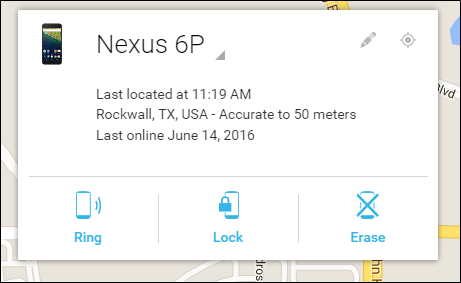 Like everything else, Android Device Manager isn’t without its limitations. For example, if your phone is stolen and you don’t have a protected lock screen (shame on you!) and the thief has already performed a factory reset, you’re out of luck. The phone is no longer associated with your Google Account at that point, so Google has no way of tracking it. Bummer. 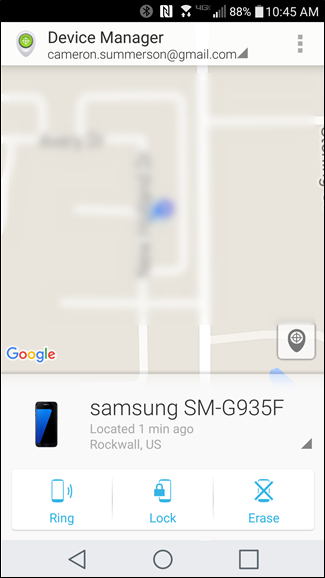 If the phone happens to die before you can track it, or the thief turns it off, all hope isn’t totally lost—Android Device Manager will try to provide the last verified location. This will at least give you an idea of where you could’ve lost it. You can also hope that whoever finds it will put it on charge for you—then you’ll be able to track it again. Or maybe they’ll just call you. That’d be neat too. Finding out your phone is missing can be a gut-wrenching feeling, but Google has done an excellent job with Android Device Manager, as it’s a fully integrated option that takes the place of dozens of janky products that tried to achieve this goal before. So while it may not be any easier to realize that your handset is gone, at least you have solid hope of getting it back.